Jason Kravitz (Brussels, Belgium) on 11 March 2005 in People & Portrait. 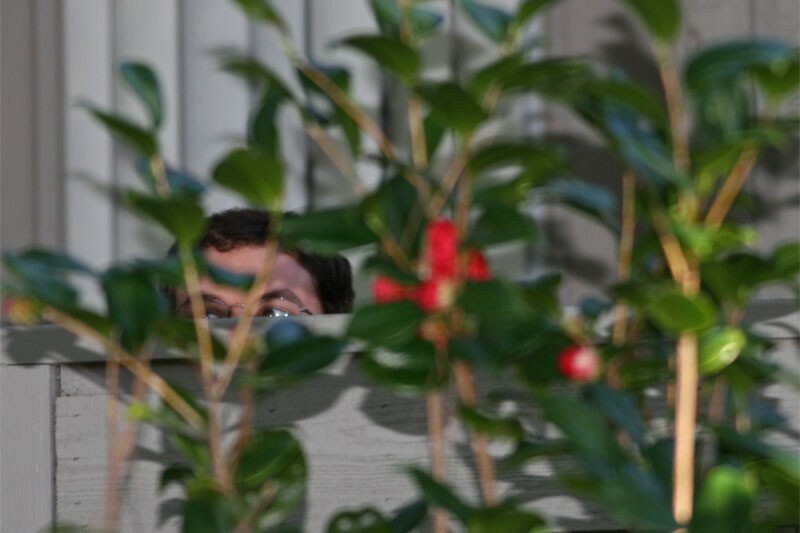 In a belated birthday wish to Aaron - here he is spotted creeping around the rose bushes. Sure Aurelie, it's him. He is not at work today, now I know where he is. Jason must have taken a hundred photos before he finally caught me. I was running like a madman, springing off walls and trees. After he took this picture, I jumped the fence and sank my teeth into his leg! Heheh ... I think he still has the scar. Luckily my camera has a fast shutter or I probaby would have missed you. After the bleeding stopped I was honored to carry your teeth marks in my leg.